[0:01] <HtheB> how can I set up a "boot video" WHILE the device starts up? [0:01] <Froolag> good question, sounds like fun. [0:07] <RockyTV> hey guys I have an application running on my pi that requires port forwarding. I've forwarded it, and it does not work on my public IP. if I reboot the pi, it works for public but stops working after some minutes. what can this be? [0:08] <HtheB> niston: thanks! I also asked the same question at #linux, they told me to look for 'Bootsplash'. Any idea which would be betteR? [0:13] <l_r> how is the rpi browser called? [0:16] <RockyTV> is there somewhere I can get support for my Pi? [0:20] <andypugh> ShorTie: So you are suggesting that if I pull the Rpi kernel source from the Rpi git archive to compile an Rpi kernel using the Rpi defconfig I should expectt o have to make random guesses what needs changing to get it to compile? [0:23] <methuzla> RockyTV what kind of support? [0:24] <andypugh> ShorTie: Yes, but, anyway, how is a missing header file a config problem? [0:26] <methuzla> RockyTV wired or wifi? [0:27] <methuzla> DHCP or static? [0:29] <methuzla> have you tried DHCP? [0:30] <methuzla> what about the modem? [0:43] <methuzla> could something else be taking over the ip address? [0:57] <methuzla> are you IRCing on another computer attached to same network? [1:05] <methuzla> how did you configure networking on the pi? [1:07] <methuzla> cool. can you pastebin that file? [1:26] <andypugh> ali1234: Out of interest and puzzlement, does it look like your compilation generated extra files in include/linux/netfilter_ipv4 ? [1:38] <retrosenator> can the rpi2 do svideo? [1:39] <BigJ> Anyone know if it would be possible to build a lightweight version or Arch say using blackbox or xfce as a window manager and be able to run Netflix at a good frame rate from within a browser? Or will the browser just have too much overhead? [1:43] <retrosenator> maybe it's possible to drive svideo from audio output? [2:01] <ebswift> hi, is there a script i can run to expand root fs without going into raspi-config? [2:32] <HtheB> so, what do you advice me? [2:32] <HtheB> remove the &? [2:37] <CoJaBo> HtheB: Pretty much; you can't run things in parallel if you want them to happen in a defined order..
[2:49] <HtheB> Triffid_Hunter: any idea what exactly this command does? [7:11] <fractaline> there is no "build" in that directory... should i just add it manually? [7:15] <chuletas> Im having some trouble configuring the touch modules for pitft28-resisitive. evtest recognizes the device, but no data is received... any suggestions? [7:59] <SirLagz> fractaline: what drivers ? [8:21] <SirLagz> fractaline: what's lsusb show ? [8:46] <fractaline> SirLagz: still here? [10:42] <Opinie> there aren't any settings for the rpi camera module that might produce pictures of more than blotches of light of a partial solar eclipse? [11:08] <retrosenator> does opengl work yet? [11:15] <retrosenator> i mean open source opengl.. the driver is only opengles? [11:15] <retrosenator> does it work in windowed mode? [11:20] <retrosenator> why won't opengl ever work? [11:24] <retrosenator> not even 1.0 or 2.0? [11:27] <Sonny_Jim> What exactly is it you are trying to do? [11:27] <retrosenator> did you use the opensource driver? [11:28] <Sonny_Jim> What application are you trying to use? [11:30] <retrosenator> did you try the opensource driver? [11:31] <Datalink> retrosenator, dialup, sat link, or rural wifi? [11:32] <Datalink> then how is your network that high latency? o.O? [11:36] <Datalink> I'd probably take the Pi to a local library, or similar. [11:36] <Sonny_Jim> Did they release the bootloader specs? [11:36] <retrosenator> is that a joke? [11:38] <Sonny_Jim> "The source release targets the BCM21553 cellphone chip, but it should be reasonably straightforward to port this to the BCM2835"
[11:42] <retrosenator> the pi2 has the same graphics right? [11:44] <Sonny_Jim> OpenCDN uses 20GB 3D textures? [11:46] <Sonny_Jim> So what's your question? [11:47] <Sonny_Jim> Why don't you write a test program and find out? [11:50] <Sonny_Jim> So you can't load a browser? [11:58] <retrosenator> you mean unlimited except there is a limit if you use too much? [11:59] <Datalink> oh, is that reset daily? [12:18] <retrosenator> but won't you have several ip? [12:19] <retrosenator> but how can it enhance a single tcp stream? 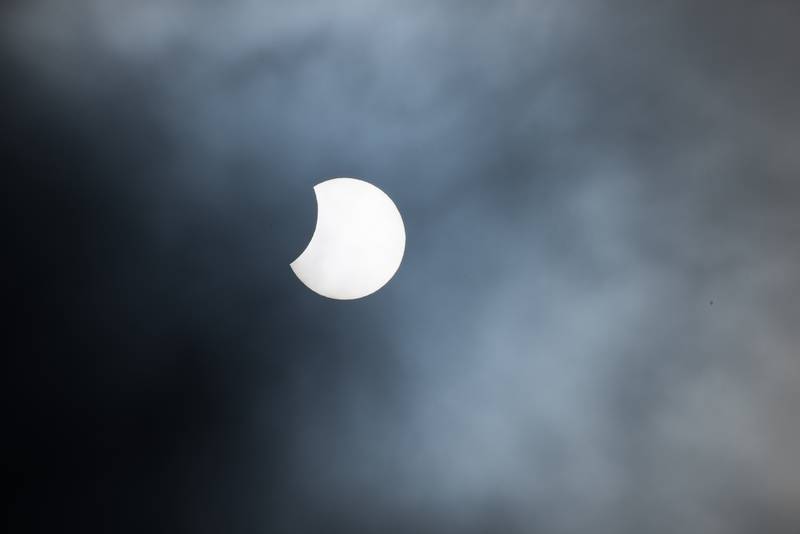 [12:20] <steve_rox> i assume everyone went nuts gettin eclipse piccs? [12:21] <ShorTie> not really, what eclipse ?? [12:25] <retrosenator> where is the eclipse? [12:25] <retrosenator> lunar or solar? [12:35] <retrosenator> is that taken with a rpi? [12:36] <avrdude> can i boot into desktop as the user root, instead of pi? [12:37] <shiftplusone> stupid, but possible. [12:39] <avrdude> Or, how can i boot into desktop and then run a script as root? [12:39] <shiftplusone> Hix, it's an alternative start.elf with a few extra things enabled to make the camera work. [12:40] <shiftplusone> avrdude, look up lxde autostart. [12:45] <avrdude> shiftplusone: can you please tell me how i can boot into desktop as root? [12:45] <shiftplusone> No, I'm not a monster. [12:48] <avrdude> is anyone able to help me? [12:50] <Datalink> avrdude, why do you want to run X in root? [12:52] <shiftplusone> sudo -E ? [12:52] <shiftplusone> Hix, find the 'raw' button. [12:53] <Datalink> avrdude, and sudo -E didn't work? [12:53] <pksato> or make script/program as set suid. [12:53] <retrosenator> does the rpi2 have sata? [12:54] <Datalink> export LD_LIBRARY_PATH maybe? [12:55] <retrosenator> anyway why don't you just use sudo in your startup script? [12:55] <retrosenator> you did export LD_LIBRARY_PATH? [12:55] <avrdude> look, i have tried everything you're suggesting.. i export it, try to run my script as sudo, but still..
[12:55] <retrosenator> or just "LD_LIBRARY_PATH=blah command"
[12:56] <retrosenator> you can run this with sudo? [12:57] <Datalink> avrdude, are you able to provide a pastebin of this script? [13:05] <Datalink> as for "this doesn't work, maybe if I run (broader and broader scopes of the OS) as superuser will fix it?" it's kinda like going after a small loose screw with a large sledge hammer... it does a lot more harm than good... Linux is considered secure because of the authentication required to do dangerous things. Principle of sudo and limited superuser running is that the more dangerous something is, the harder it should be to do by mistake. [13:05] <retrosenator> so it works now? [13:08] <Datalink> heh, the biggest gripe when Sudo was created, at the time it was just a basic hack, and didn't yet have suid set on it, so it basically ran SU, the command in question and terminated. [13:08] <pksato> if search is correct, edit /etc/lightdm/lightdm.conf and change user auto login parameter. [13:11] <Sonny_Jim> Where's the obvious one: Why does the application need root? [13:11] <Sonny_Jim> What application is it? [13:16] <Datalink> avrdude, what does it output when you run it from a commandline? [13:16] <retrosenator> avrdude: why don't you make the script +s ? [13:17] <avrdude> well, i dont have a keyboard attached right now..
[13:20] <avrdude> it gives "/bin/bash^M: bad interpreter"
[13:23] <Sonny_Jim> Safer than a device driver for GPIO? [13:34] <pksato> ah. stop. need a LD_LIBRARY_PATH to use /usr/local/lib/? [13:35] <Datalink> why isn't /usr/local/lib already in LD_LIBRARY_PATH? usually that's /usr/lib;/usr/local/lib isn't it? [13:35] <pksato> put this path on /etc/ld.so.conf.d/libc.conf (or /etc/ld.so.conf) and run ldconfig. [13:37] <spm_draget> I am trying to install https://github.com/debian-pi/raspbian-ua-netinst/ - did anyone else try this recently? The installer keeps failing to download anything http://dpaste.com/0VQ3GEA … it odes get a valid IP via dhcp that can connect to the internet. [13:38] <spm_draget> I tried chagning the mirror in install-config.txt. The log shows that it does read the install-config.txt, and yet the result is the same. [13:40] <Sonny_Jim> Hmm how do you link to a specific post on the forums? [14:08] <keyvin> does the raspi 2 run mos 65xx based emulators well? [14:11] <Sonny_Jim> Which system are you trying to emulate? [14:14] <keyvin> Datalink: does it emulate the sounds the drive made :)? [14:22] <andypugh> ali1234: shiftplusone: Sorry for wasting your time yesterday. I have realised that the problem was that the git archive was physically on my Mac. And (despite being BSD-based) OSX is case-insensitive (but case-preserving). As some Linux kernel files are distinguished by capitalisation, this means that some files go missing. [14:23] <andypugh> A surprise, certainly. [14:24] <andypugh> I built a base 3.18.9 kernel that worked last night, and the RT-PREEMPT compile is looking good. However reports are that RT_PREEMPT locks up on the Pi2. Time will tell. [14:31] <andypugh> My feeling is that a Windows system that had been through that many OS and hardware upgrades would be in trouble. And I am not claiming that it wouldn’t be an _excellent_ idea to wipe the Mac and start again. [14:36] <HtheB> it seems that loading the video later, will work, but how can I get the boot video earlier without that error message? [14:38] <kisak> Does anyone know if there is a ~get current vram usage~ command? [14:46] <Sonny_Jim> avrdude: Did you look at those links I posted? [14:58] <ShorTie> metal screws ?? [14:59] <ShorTie> you didn't say what they are screwed into, but you sure it is not grounding out something ?? [14:59] <IT_Sean> im with Sonny_Jim. Sounds like you cracked the board. [15:00] <IT_Sean> those holes are not for screwing down with. they are for using board risers. [15:00] * SpeedEvil needs to check. [15:00] <IT_Sean> I'm betting one of whatever his local curency is that he cracked the board. [15:00] <Hix> speaking of risers to fit the pi, anyone got an links? [15:10] <Sonny_Jim> Just.... Don't use metal screws, m'kay? [15:13] <nbjoerg> that said: wtf should I derive that from? [15:14] <giddles> unzip and copy to sd? 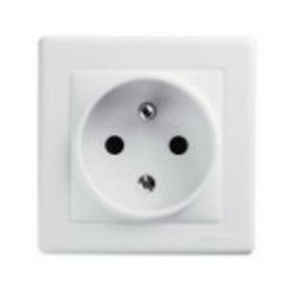 [15:14] <ahop> Is it possible to Switch on Switch Off a 220V / 110V power plug with a Pi? [15:16] <pksato> ahop: yes, is possible. use a relay. [15:16] <ahop> but is there ready-to-use / clean / not-dangerous way to do it? [15:16] <Armand> "Ahh!! A little black box that goes 'FIZZT!'" [15:17] <pksato> and a contactor for heavy load. [15:18] <giddles> raspbmc not for pi2? [15:18] <ahop> what's the most common one? [15:18] <giddles> can someone help me out? [15:18] <pksato> ahop: looking a plug and use solution? no wires do solder? [15:19] <giddles> ich hab großes unverständnis ;) kein openelec raspbmc oder ein anderes mediencenter für den rpi b2? [15:20] <ahop> nbjoerg what's the relay name? [15:22] <ahop> und ein nur-eins-relay version ? [15:24] <pksato> but, connecting a relay module to RPi is simple (if is designed to rpi). [15:25] <pksato> little more complicated that replacing wall ligth switch. [15:28] <mgottschlag> giddles: sorry, didn't mean you. [15:29] <giddles> is openelec/raspbmc.. etc the os? [15:30] <nbjoerg> it is the current that does! 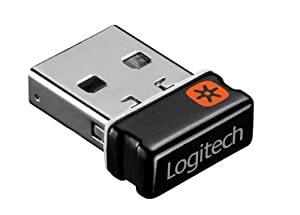 [15:31] <ahop> we can switch on / switch off with USB ? [15:31] * Armand disappears in a puff of smoke! [15:32] <ahop> ohh that way ? [15:33] <ahop> basically switching would be made with "send 5V to USB" or "don't send 5V to USB"
[15:33] <Armand> I've got a nice supply switch for my solar plant.. Turns on the AC transformer if the batteries are low. [15:34] <Armand> I doubt the design would help in your case though..
[15:37] <IT_Sean> ahop: learn to solder. [15:37] <Hix> if i run "git clone https://github.com/roberttidey/RPi_Cam_Web_Interface.git" and then CD to the relevant directory and run install.sh install shouldn't ti update the code? Or do I need something else other than "git clone"
[15:45] <Sonny_Jim> You soldered a XoXbox but are too scared to solder a simple relay? [15:45] <Sonny_Jim> Did it work? [15:46] <IT_Sean> so... solder it for them, then ship it. [15:46] <Sonny_Jim> When you say "It's not for me", you mean "It's for someone else", not "Soldering isn't for me"
[15:46] <pksato> even arduinos sans smart relays not need soldering. [15:46] <IT_Sean> being 60 years old does not preclude soldering ability. [15:46] <pksato> but, need to connect wires. [15:47] <ahop> I would like to propose her a solution like "Buy a Pi, insert this SD card (i'll ship it to them)", "Plug this readytouse module"
[15:47] <ahop> "Plug your heating system to it"
[15:49] <pksato> buy a RPi, make any soldering/wiring and send to. [15:50] <pksato> mount all on a box with standard wall plug and sockets. [15:52] <pksato> and have these IR controlled wall switches, use lirc to emulate IR control code. [15:52] <pksato> or wire original contoller. [15:55] <Bilby> pksato developing a new HVAC controller? [15:56] <ahop> Bilby thanks :) ordered! [16:01] <Hix> is sudo rpi-update ok on ssh terminal? Or do I need to screen it? [16:04] <pksato> except for control commands or direct access to hw, local console and remote terminal shell access not have a difference. [16:07] <TheLostAdmin> I was thinking of intentionally setting up a public login server on a raspberry Pi. [16:10] <Bilby> is your root password "12345"
[16:11] <Bilby> now you have me worried haha... what's the default log file for that? [16:12] <Sonny_Jim> Can a mod please ban that IP address from ehre? [16:12] <avrdude> is it possible to see exactly what they have done? [16:12] <avrdude> are there logs of that? [16:13] <avrdude> oh wait, i have tons of "Failed password for root from 103.41.124.31"
[16:13] <TheLostAdmin> IT_Sean: to see how long it takes you to break it. I didn't say you would get root. [16:14] <Bilby> do you have SSH exposed publicly? [16:15] <TheLostAdmin> If ssh is exposed, why would you even allow password based authentication? [16:15] <avrdude> how do i unexpose ssh? [16:16] <kevinsan> so avrdude, were there any successful attempts to log in, or were did they all fail? [16:16] <Bilby> avrdude do you have a router set up or is the pi on a public IP address? [16:16] <kevinsan> out of interest, how weak was your password? [16:17] <IT_Sean> Sonny_Jim: what do you need banned? and why? [16:18] <Bilby> you want the highest auth login i have? it's not even my name. [16:18] <IT_Sean> That's not agsainst the rules, Sonny_Jim. [16:18] <IT_Sean> If you run a Pi that's not properly secured, and post the IP in here, that's on you. [16:19] <McBride36> Sonny_Jim, want me to check mine? [16:29] <Sonny_Jim> Hmm, there is a way for freenode to mask the IP address of the IRC client you are using? [16:30] <Bilby> I've blacklisted you! [16:30] <kevinsan> Bilby, spam and attacks are quite separate (I don't know actual numbers myself, do you?) - but in any case, 100% of spam and attacks could be coming from 1% of the Asian IP ranges. [16:34] <kevinsan> thevdude, it's rarely juicy. Just bots that scan for open ports, then pass the results around to other bots that scan for known vulnerabilities. [16:36] * IT_Sean think it might have to not survive the move. [16:38] <IT_Sean> ooooooooooooh damn. Wrong channel. [16:39] <Sonny_Jim> Japanese for "Cool"
[16:39] <kevinsan> "Daddy, what does startx mean?" [16:40] <IT_Sean> easy there, kevinsan. [16:40] <kisak> IT_Sean: is that the kind of model you want to be to other mods? kick on a first offense, no warnings? [16:40] <IT_Sean> I warend myself! [16:41] <IT_Sean> I said "Sean, that's not okay" out loud before i kicked myself. [16:41] <Bilby> IT_Sean lol... hubris is a ... loving mother. [16:41] <IT_Sean> Esp. blurry as heck ones! [16:41] <Bilby> how are you driving it? [16:42] <IT_Sean> VGA. But it's been fine up 'till a few days ago. [16:42] <kevinsan> IT_Sean, are you telling me off for referring to fsck? [16:42] <McBride36> oh it's not one of those dinky 16x2 ones? [16:42] <IT_Sean> And i've swapped sources, cables, etc.... It's defo the LCD. [16:42] <IT_Sean> And no, it's a 19" one, in my office. Connected to my laptop. [16:43] <IT_Sean> an actual, normal, display. [16:44] <IT_Sean> Tried multiple sources and cables. It's defo the LCD. [16:46] <kevinsan> cool desk. surprisingly tidy. are you one of those management sorts? [16:46] <IT_Sean> I am not a management drone, no. [16:46] <IT_Sean> And my new office is going to be even awesomer! WOO! [16:46] <IT_Sean> Bilby: I'll have a proper office in a few weeks. [16:48] <Sonny_Jim> Doesn't raspbian not set a root password by default? [16:48] <Sonny_Jim> That's the same combination of my luggage! [17:01] <McBride36> why are there so many login attempts on "paul"
[17:03] <kevinsan> Bilby, what's a half-height cube? is it low ceilings or low partitions? [17:54] <Vahan> is there a better method than the good old inotify on the sysfs? [18:08] <Vahan> hellos, looking for some help hooking up to the new device event on /sys/bus/1w/devices. is there a better method than the good old inotify on the sysfs? [18:55] <devslash> whats the correct syntax to have a service start up at boot? [18:57] <devslash> is anyone here ? [19:01] <devslash> when I do that i get a warning: insserv: warning: current start runlevel(s) (empty) of script `nginx' overrides LSB defaults (2 3 4 5). insserv: warning: current stop runlevel(s) (0 1 2 3 4 5 6) of script `nginx' overrides LSB defaults (0 1 6). [19:02] <devslash> is that something to be concerned about ? [19:04] <Sonny_Jim> what does service nginx status say? [19:08] <Sonny_Jim> Did you follow these instructions? [19:09] <Sonny_Jim> Where did you get nginx from, apt-get? [19:11] <Sonny_Jim> Did you install it via Nginx.org Debian Package? [19:18] <devslash> like that ? [19:32] <BobFrankly> anyone seen any ways to connect ps2 to rpi2? [19:37] <andypugh> One button per GPIO would avoid clashes completely. [19:39] <andypugh> You can get more with matrix wiring, but then you have clash problems. [19:40] <andypugh> Probably heresy to suggest this here, but the Beagle Bone has lots of IO if the Pi is short. But it also has rather poor video. [19:41] <andypugh> There might be parallel to serial SPI chips that would let you connect an arbitrary (ish) number of buttons. [19:42] <devslash> are any of you runnning kodi on the RPI2? [19:47] <muriani> BobFrankly: you still have radio shack? [19:50] <McBride36> back when it actually sold electronic parts? [19:53] <BobFrankly> ....so it's a radioshack employee? [19:54] <ali1234> BobFrankly: do you want to connect a keyboard or mouse? [19:57] <BobFrankly> link to an example? [20:03] <McBride36> i have an above average number of limbs! [20:03] <andypugh> Ha! I have more than the average number of noses! [20:03] <devslash> anyone using XBMC/Kodi on the newest RPI ? [20:21] <Warbird> Hi all. Can anyone recommend a decent wired (or wireless) keyboard that's sturdy and on the smaller side? My cheapo Dynex is crapping out on me. [20:22] <Warbird> Noted. I'll swing by Best Buy later then. [20:23] <ali1234> er, "unifying receiver"
[20:25] <Warbird> I assume that's an indicator of it using Unix friendly standards or whatever? [20:29] <Warbird> I'll likely go cheaper. I'd prefer wired since I don't use it often and won't have to deal with batteries. [20:58] <atouk> so the M key doesn't? [20:58] <andypugh> ali1234: Surely no matrix-wiring offers 102-key rollover? [21:00] <andypugh> Wikipedia agrees with you and not with me. [21:05] <ali1234> andypugh: "realtime" doesn't mean "fast"
[21:05] <andypugh> I know exactly what “realtime” means, and I was hoping for something around 50uS latency. [21:06] <andypugh> Sorry, that came out arrogant and unfriendly. [21:06] <shiftplusone> what's the latency you're talking about? I haven't seen latency that high when servicing interrupts, for example. [21:06] <andypugh> Folk have reported 50uS with RT-PREEMPT and x86. [21:07] <Sonny_Jim> In userland apps? [21:07] <shiftplusone> oh... userland... nvrm. [21:13] <ali1234> get something with a command buffer? [21:13] <andypugh> Command buffers introduce their own problems. [21:15] <andypugh> A typical LinuxCNC installation runs kernel-mode real-time with RTAI and often offloads MHz-frequency stuff to an FPGA. We recently tweaked it to use userland threads, and that has proven very usable for x86 and the Ethernet-connected FPGA cards from Mesa. I had this RPi2 lying around, and decided to experiment. [21:16] <andypugh> So far it is ahaping up to be a failed experiment. But that’s OK.
[21:16] <ali1234> what problems does a command buffer bring for CNC applications? [21:17] <andypugh> What happens if you abort? How do you unwind the buffer? [21:17] <andypugh> How do you synchronise motions between spindle and threading tool without moving _all_ your trajectory planner into the buffer hardware? [21:19] <ali1234> ad then broadcast "go"
[21:20] <ali1234> ah, feedback is necessary? [21:20] <andypugh> Yes, very much so. [21:21] <ali1234> threading as in cutting a thread on to a bar, right? [21:30] <andypugh> Well, that is sort-of how it ends up, I have a PC motherboard in amongst all the other boards running a realtime-patched linux. Being able to read G-code off the network is useful, as is being able to display graphics ona screen and handle a keyboard. Then eventually an OS looks like an advantage not a hinderance. [21:31] <andypugh> The Intel Atom boards work excellently. [21:31] <kevinsan> does the GPU interfere with the ARM side in terms of timing of a motion controller? [21:31] <andypugh> It seems that the Pi doesn’t. There are guys having good results with the BeagleBone. (that has programmable realtime units which can help with step generation, PWM etc). [21:32] <kevinsan> preempts doing what? [21:32] <ali1234> kevinsan: when GPU wants to access memory, the ARM cannot. so it just stops. [21:32] <kevinsan> only for nanoseconds though, surely - does it hog the bus? [21:34] <andypugh> I am seeing 7.6mS of latency opening a web browser. [21:34] <ali1234> what about when you're not running X? [21:35] <ali1234> what if you get two raspberry pis, one for your web browser and one to run the mill? [21:35] <andypugh> kevinsan: Yes, you can drive steppers up to a few kHz with bit-banging ports in a realtime thread. But if you want MHz frequency resolution (which is nice to have) then separate signal generation hardware is nice. It isn’t about the step rate, it is the range of possible frequencies. [21:36] <andypugh> ali1234: I haven’t got that far, but it might work. [21:36] <andypugh> The web-browser was juat a way to peturb the system to see how it responded. [21:38] <kevinsan> andypugh, what kernel/distribution are you using for LinuxCNC? [21:39] <andypugh> It used to be Ubuntu, but the latest LiveCD is based on Debian Wheezy. [21:39] <andypugh> But you can build it on anything you can get to run on a realtime kernel. [21:40] <kevinsan> are linux RT threads good enough for that, or is it a modified kernel? [21:41] <andypugh> kevinsan: Generally for software step generation you need an RTAI patched kernel. With external hardware you can get away with Preempt-RT. I don’t think there is an RTAI patch for Arm. [21:42] <andypugh> Machinkit (A parallel project) runs on Xenomai on Arm and x86. [22:03] <cstk421> anyone know of a guide / tutorial / instructions to do a raspberrypi + LTE / 4g WAN + vpn auto connect on boot to ipsec server ?? [22:09] <cstk421> so what limitations out of the requirements are there ? [22:10] <Bilby> so you want the Raspi to host a VPN served to the internet through mobile data, and interface with a serial port on the local side? [22:14] <Bilby> are the cisco management ports proper serial? [22:14] <ahop> If I want to detect pushbuttons press with GPIO, should I make a new thread with python's threading ? [22:15] <Bilby> eh, that's what... yeah. [22:17] <ahop> Can I detect push buttons with just momentary buttons ? [22:17] <ahop> and no resistors, no capacitors, etc. [22:17] <ahop> or do I need some additional components ? [22:18] <cstk421> why is the arduino a better choice for that ? [22:19] <ahop> they say : "o we’ll be setting up port 24 with the built in pulldown resistor enabled. " [22:20] <ahop> what's this "pulldown resistor enabled" ? [22:21] <ahop> Bilby what does it mean "when you initiliaze the pin " ? [22:24] <ahop> How to init a pin in Py? [22:25] <Klaus_Dieter> andypugh: but how do I find the cause? [22:26] <andypugh> Sorry, I have no idea how to solve problems, I just make a lot of broken kernels. [22:30] <andypugh> Not directly helpful, but I made a batch of RPi GPIO to DB25 boards with bidirectional level conversion to 5V. [22:33] <Bilby> fancy! bi-directional level conversion? [22:39] <ali1234> what's wrong with just using a max233?